It can’t get any cheaper than paying one dollar for pretty much anything. At least that’s what customers of the Dollar stores thought until Wal-Mart went on the offensive. A recent Bloomberg article states that after performing an almost 2-year study, it found Wal-Mart household good prices were cheaper than at the dollar stores. The same goes for more than 80 percent of Wal-Mart’s groceries, auto parts, pharmaceuticals and health prices. Still, there is one place where dollar stores may hold a competitive advantage; they are smaller in size and typically located in residential areas, while Wal-Mart, with its Supercenters, is only just now ramping up its Neighborhood Store concept. It had actually conceived the concept back in 1998, when it introduced this idea by opening three stores in Arkansas. The idea didn’t take off as fast as anticipated, but as of June 3, it had opened approximately 250 such stores throughout the United States. “Wal-Mart is not content to allow these cheapo stores steal customers … the entry of Wal-Mart into any market indicates that prices are about to drop. But it might not be the end of the world for Family Dollar and Dollar Tree,” states an article on the Motley Fool website. For the moment, Dollar stores still have a competitive advantage. Having built large networks of distribution warehouses, with some being as big as 900,000 square feet and filled with products bought at low prices, the company should be able to resist pricing pressure from Wal-Mart for the foreseeable future. 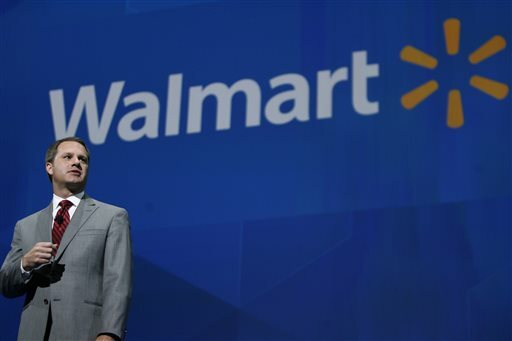 Wal-Mart, however, is a fierce competitor that wants to maximize customer penetration. It is making an all-out effort to challenge Amazon.com, Inc. in e-commerce, while at the same time gearing up to go all out against the dollar stores in the retail sector. “Does anybody really think that Wal-Mart can push Amazon aside and breeze into the online market? The same setup exists in the dollar store niche: Family Dollar and Dollar Tree have been at it for years and have a stronghold in the market; it is unlikely that Wal-Mart can come in and shove them aside,” said the Motley Fool article. Dollar General is by far the largest among the dollar stores, with 10,000 neighborhood stores in 40 states, followed by the Family Dollar Stores, with 7,600 stores in 45 states. Dollar Tree is in third place with 4,700 stores in 48 states and 5 Canadian provinces. On top, all shares are doing well. “Since the end of 2009, shares in all three of these companies [Dollar General, Family Dollar Stores and Dollar Tree], led by Dollar Tree, have simply trounced the broader market. Even the worst performer of the bunch, Family Dollar beat it by nearly a factor of two,” stated a June 9 Motley Fool article. Wal-Mart’s stock, in comparison, has slightly underperformed the Dow Jones Industrial Average and the S&P 500 during this time, though still up about 40 percent. With dollar stores and Wal-Mart opening more and more neighborhood stores, possibly saturating America in the near future with these types of stores, this is laying the groundwork for an increasingly competitive environment. A June 13 Motley Fool article suggests that in the short term, dollar store stocks are still a decent buy, with Goldman Sachs assigning a “buy” rating to Dollar Tree. However, in the long run, the stores may need to slash prices further, which will eat into profit margins, making the stocks less attractive.